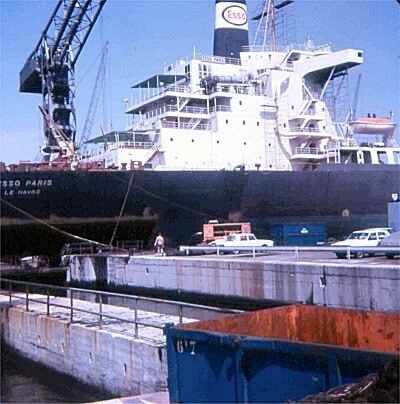 See also "Esso Paris (2)" into Dry-dock. 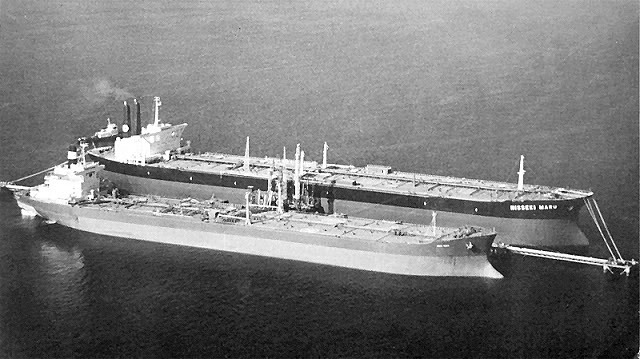 The second "Esso Paris", was build in 1969, sold for breaking up in 1980.
calling at Bantry Bay, Ireland) and can unload a full cargo only at Kiire Terminal in Kagoshima Bay, Japan. 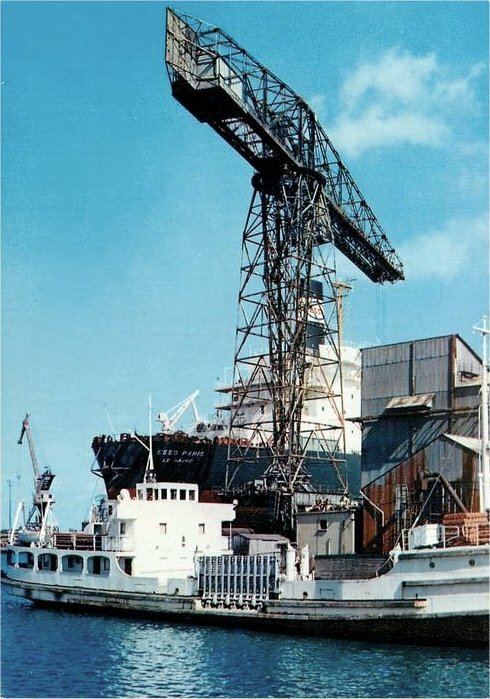 "Esso Paris" in in the repair yard in Marseilles May/June 1975. 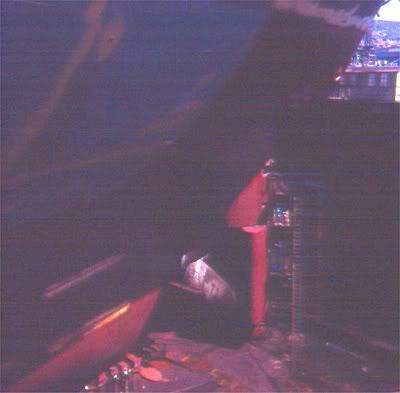 The rectangle under the cargo control room windows is a big bronze mermaid. 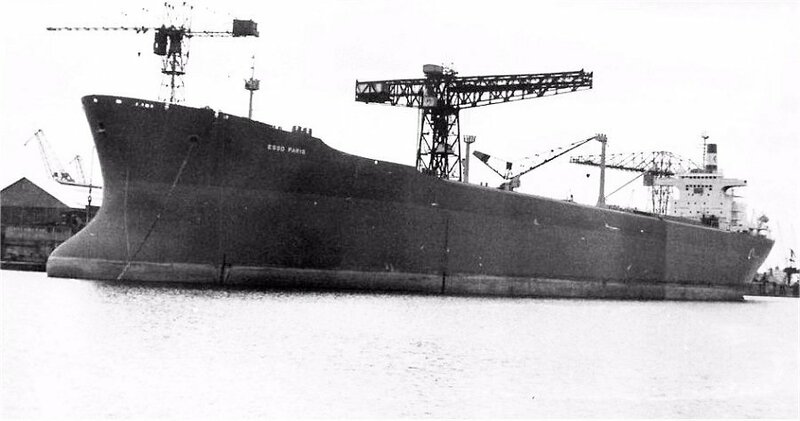 When the ship was scrapped the mermaid was taken off and taken to the Esso office in Paris. 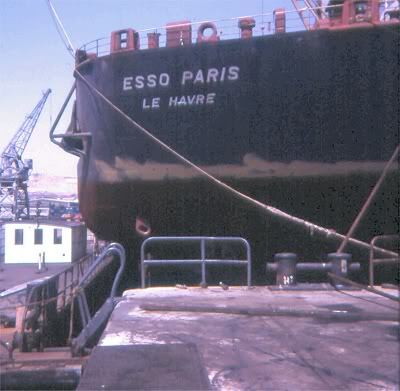 "Esso Paris" just fits into the drydock of Marseilles May/June 1975. 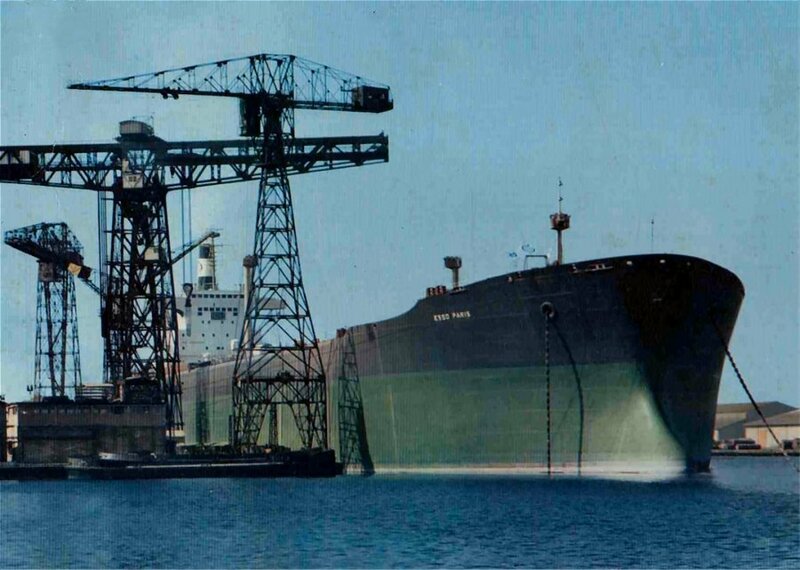 Tight fit in the drydock - not many centimetres at either end !!!!! 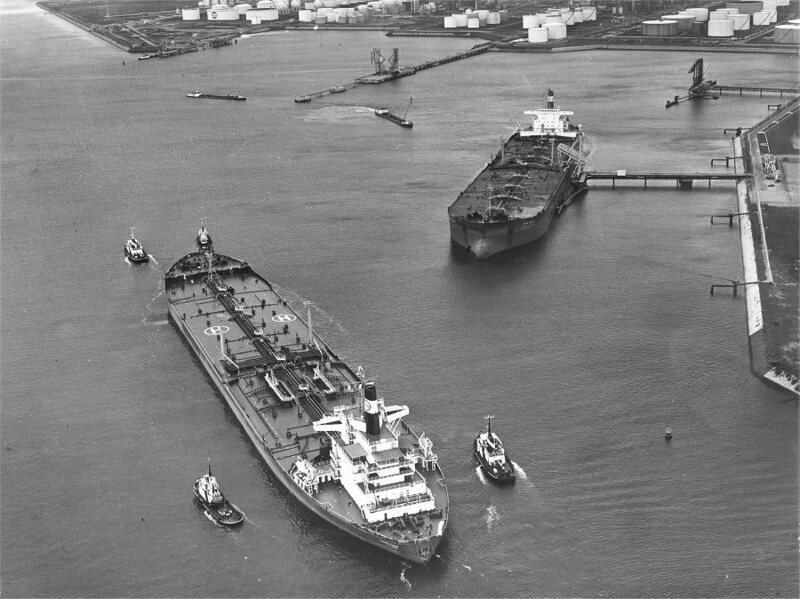 entering on the New Waterway to the terminals. 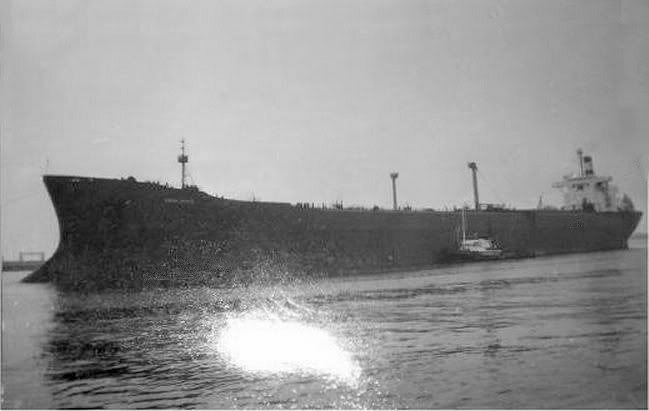 "Esso Paris" at Saint Nazaire. 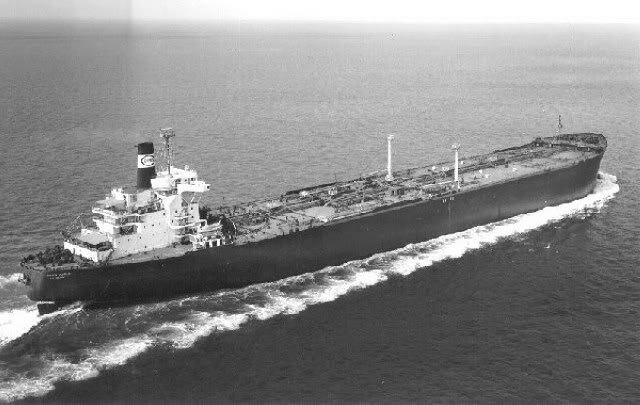 A not very sharp photo of the "Esso Paris". 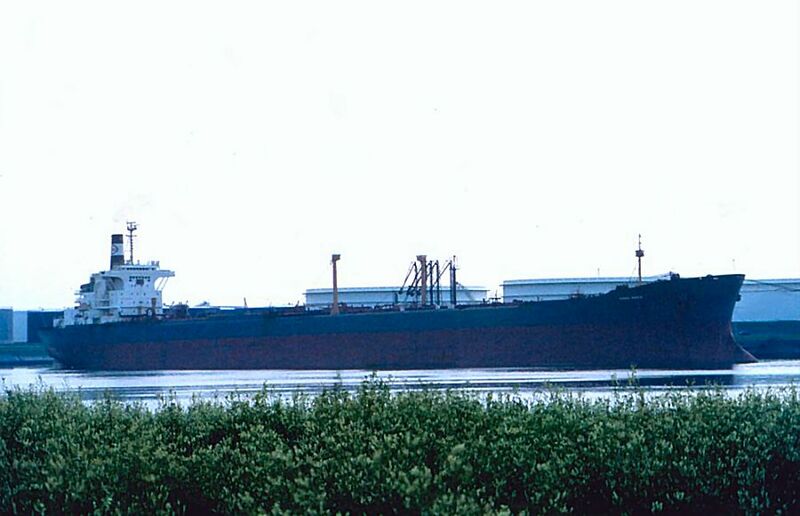 "Esso Paris" at Europoort, Rotterdam, August 1980. 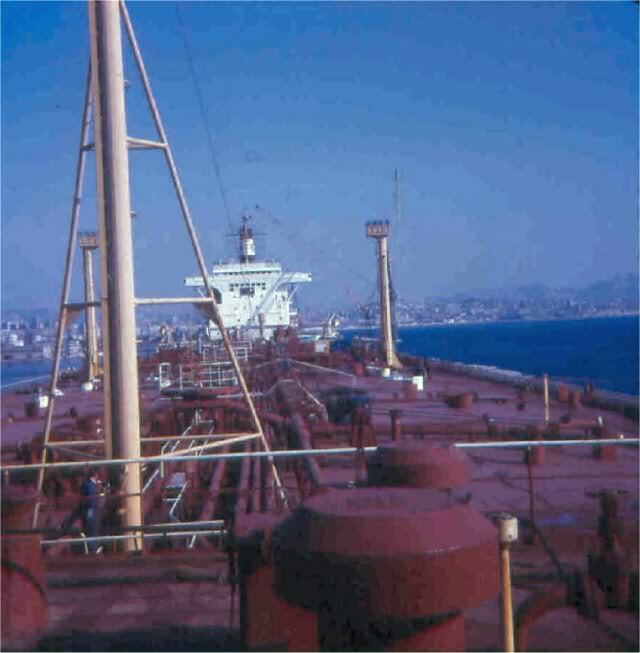 The Miramar Ship Index for "ESSO PARIS"
ESSO PARIS (2) (1969 - 1980) F.N.X.V. 96226 g. 71147 n. 196146 d.
323.8 oa.304.91x 47.17 x 23.70 meters (19.20 draught). 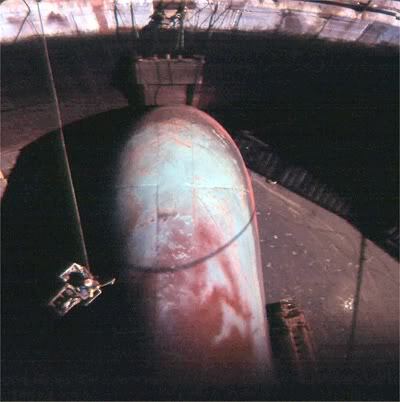 Two Stal-Laval steam turbines of 30400 SHP Dr geared to screw shaft by the shiphuilder. 16.5 knots. 11 officers + 20 seamen. 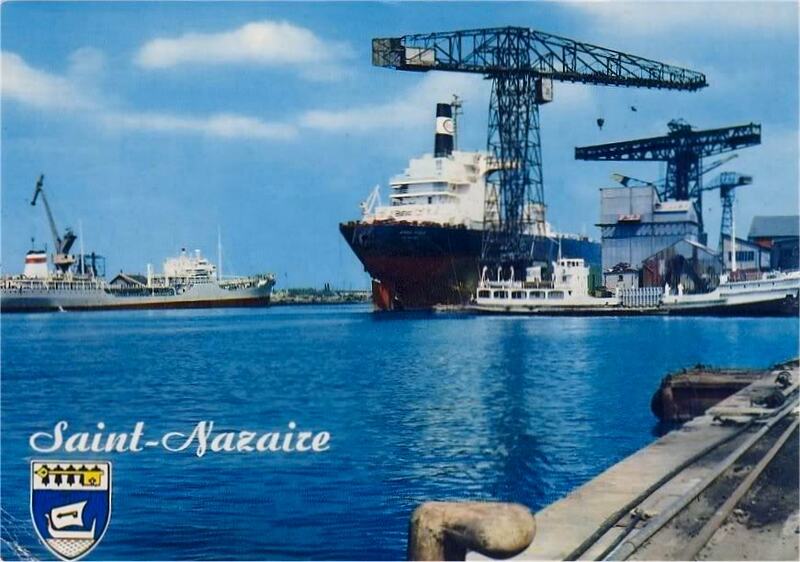 28.01.1969: launched and 1969 : completed by Chantiers de l'Atlantique (V 23). 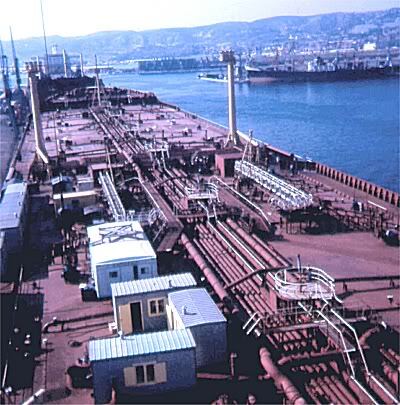 Saint Nazaire as ESSO PARIS (II) for Esso-Standard SAF, Le Havre. 05.11.1980 : arrived at Kaohsiung (Taiwan) for breaking up.